TICKETS GO ON SALE SUNDAY 18th NOVEMBER, 10AM! A special showing of the classic BBC series in its entirety, with breaks for themed refreshments and period-positive Xmas gift inspo. 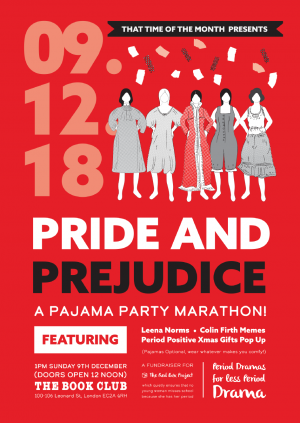 A must for Austen fans. Fundraising for the Red Box Project.